E-commerce giant Amazon is on a quest to conquer new territories by launching a daily deals site, designed to operate for London initially, it has emerged. The new site will aim to compete with already established daily deals services providers in the area like Groupon and LivingSocial. 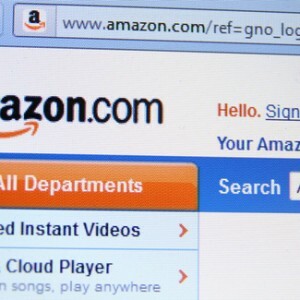 The new website, called AmazonLocal, will deliver relevant offers to consumers by e-mail each morning. The offers will be selected on a geographical basis and consumers will be provided with extra reward points if they make purchases with an Amazon credit card, the BBC reports. AmazonLocal is also available in the US, where it was launched about a year ago. So far, Amazon has not announced any details about the new site but experts predict that the daily deals market, already a very competitive one, is set to go through changes with the entry of the new player. Amazon is at present the leading online retailer in the UK and was crowned the best UK brand last month in YouGov´s BrandIndex 2012. Gordon Willoughby, director of AmazonLocal for Europe, comments that the retailer aims to provide customers with a comprehensive list of goods and services that can be bought online, so offering them deals from local restaurants, theatres and spas is a natural progression for the brand. Daily deals will now be added to the millions of products for sale on Amazon every day and the retailer will be looking to deliver the best experience to Londoners, he concludes.